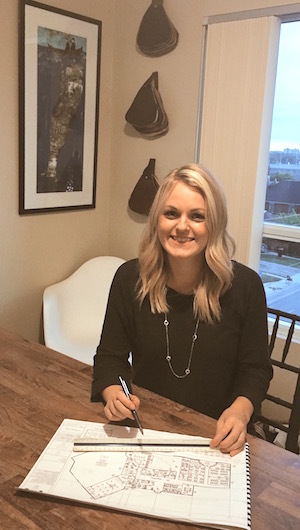 It's easy for a professional designer to come into someone's home and design a house that looks perfect from top to bottom with no detailed missed. However, is the space a true reflection of the client or that of the designers taste? Defining your design style can sometimes be challenging and overwhelming. I have created a worksheet that helps guide my clients to help them create a language for their project and that will aid them in making decisions that stay authentic to their vision. I have included this worksheet below for you to use as your field guide to finding your design style. Once a client is confident about their design style it helps them trust my decisions I will make to help them execute this vision come to life. Confident decorating is about decorating the space for those who will actually live in the home, not for anyone else. With that confidence it will allow the client to take risks, to make their home feel highly personal no matter what the current trends are or what others are all doing to their homes. When designing a space for my clients I encourage them to rediscover pieces of furniture, knickknack and art they currently have and give suggestions on how we can bring these pieces to life again and feel new and exciting and part of their design vision. The design process is a fun and unique experience for both the designer and the client. 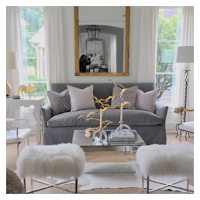 We are uncovering who the client is, what their style and intention for the home is all about,how the architecture of the home and the decorating will conform together, and how your home feels so that it reflects your vibe. Now all thats left is getting the courage to go after it! I encourage you to fill out my Design Style Questionnaire below and please feel free to share it to me! INTENTION Describe how you want to make the best use of your home. 1. I always want the sensation of having breathing room. 2. I would love to share my love of cooking with friends. 3. A sense of comfort and memories is paramount to me. STYLE Style is how your intentions will actually look or appear when put into the design of your home. Describe what styles you are drawn too. I love the eclectic look of mixing old with new, I am more drawn to bohemian looking spaces with lots of neutrals. I want something that will be timeless to our home. HOUSE Describe your home’s architecture and style Rustic, airy, open, contemporary. INSPRIATION What do you find inspiring? I find my travelling, food and the wilderness inspiring. FEEL How do you want your home to feel? I would love for my home to be a balance of calming, uplifting and whimsical. MOOD Describe the mood of your home. 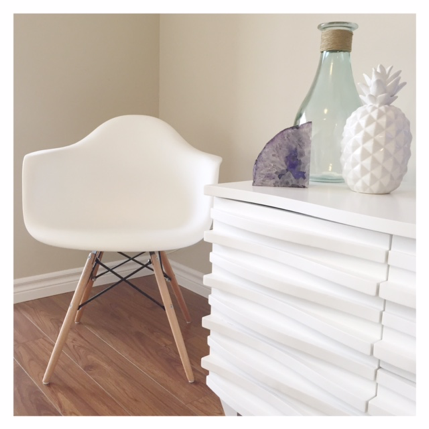 I want my home to feel lived in but not cluttered and relaxed yet fun. COLOUR PALETTE Describe your general colour palette. I love calming serene colour palettes with touches of blues and greens. PROJECT LANGUAGE Your project “Language” is what results from all of this combined information. List the descriptive phrases that apply to your specific project and use the verbiage as a litmus test or filter throughout the design process. Each and every selection of your project should fit through this “filter.” A mix of bohemian meets contemporary, with an open and airy neutral palette. A strong connection to the wilderness and the places we have travelled and an overall impression of a calming, well lived in space without feeling cluttered. An uplifting, relaxed vibe is key and the home should make life easier by being organized and conducive to creative endeavour and fun. END RESULT Always ask yourself, “is X in keeping with my overall vision?” “Is this rug right with my overall vision?” “Is it relaxed enough?” “Is is too serious?” and so on. We have heard the expression of bringing the outdoors inside so why not the opposite and bring the indoors outside! 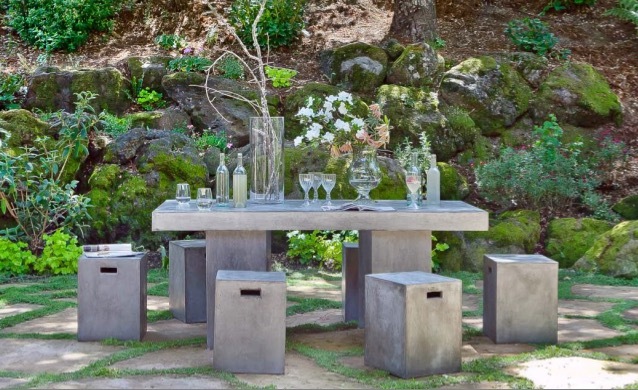 Spring is in the air today here in London, Ontario and that inspired me to write this blog on 5 Tips on how to decorate your outdoor space! Hiring an Interior Designer might sound like a funny thing to do when your ready to spruce up your outdoor space but it’s really no different then helping a client decorate the inside of their home. When it comes to plants, decks, etc I would leave it to the professionals but decorating is our expertise! 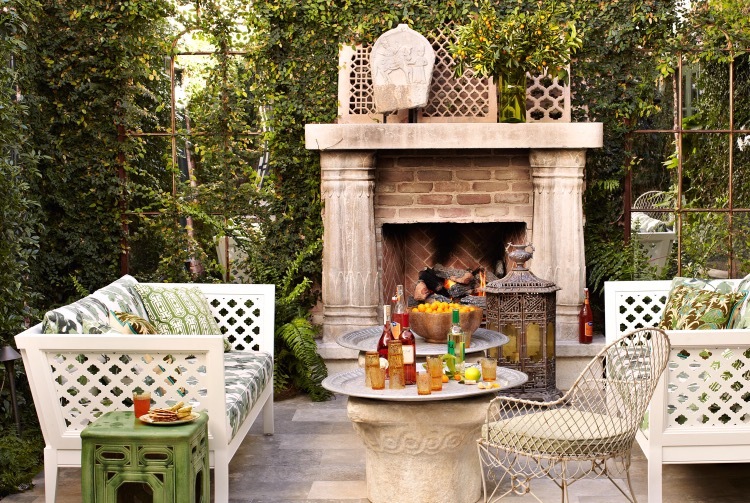 A Designer can help you come up with creative ideas for your large backyard or even for the tiny backyards. They can help you with a space/furniture plan so that everything is scaled properly. Designers also have access to many Trade only companies for Outdoor fabrics, rugs, furniture that you don't have access to at retail stores. Some designers will even give you a trade discount which can sometimes add up to the designer fee’s! Which is a total WIN WIN! You have a beautiful space designed by a professional that is completely original and unique at the same price as it would cost you to do it yourself. If your challenged with a small outdoor space consider adding a mirror or two to help enlarge your outdoor habitat. You could even lean a full length mirror against your brick wall to really make a large impact! I would suggest using an old mirror you don't know what you want to do with or find something interesting at a yard sale. 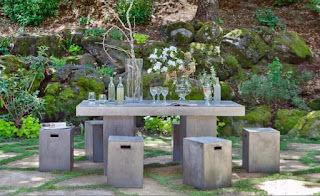 Just like you accessorize your indoor spaces you can do the same to your outdoor spaces! I love the look of outdoor draperies being hung on a porch and even having some decorative outdoor pillows. There are so many beautiful outdoor fabrics to choose from so that you don't have to worry about mould growing on the drapes and pillows. You can also add some tasteful knick knack’s (Lawn Gnomes are not tasteful #sorrynotsorry) by incorporating some beautiful planters with fragrant flowers or even herbs! Metals of all kinds are very much on trend still for this year. 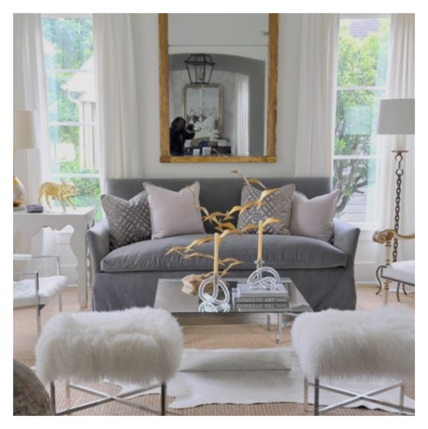 In my recent blog post on Trends for 2016 I talked about mixed metals and how to in-corporate them into your home. The past few seasons we embraced chrome and nickel and then moved right along to brass and gold. This year we will be seeing lots of Copper being introduced to the mix of our metals! Well known for it’s efficient conductivity of heat, copper provides a perception of warmth. Besides mixing it in with your other metal finishes copper looks beautiful when paired with soft pink hues, black and muted neutrals. Below are some fun ways to introduce our crush on copper to your home this year. It’s been 15 years since our kitchen appliances have had a new colour scheme trend. Silver is out and Bronze is in! 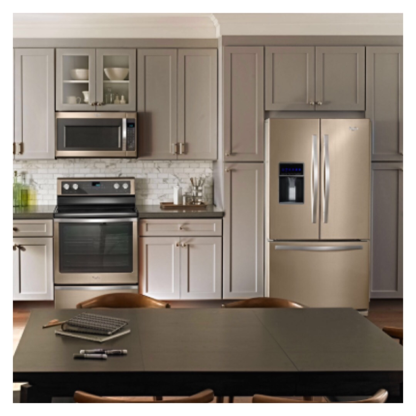 Whirlpool introduced their new golden hue called “Sunset Bronze”. 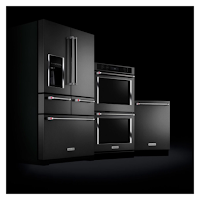 It provides a distinctive look while still matching new and existing kitchen designs and cabinetry. 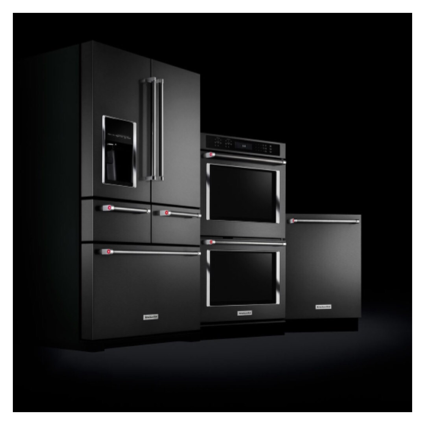 If you prefer something a little more safer then you will be happy to hear that companies like LG and GE have come out with a Matte Black and Slate Grey Stainless finish. Looking to go back to classic white? 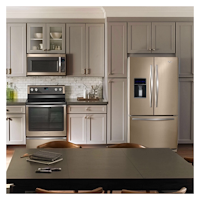 White ice is an updated white that Whirlpool has also introduced. Mixing modern metals is something I have been introducing my clients too over the last two years and FINALLY 2016 has announced it as a top trend we will see. 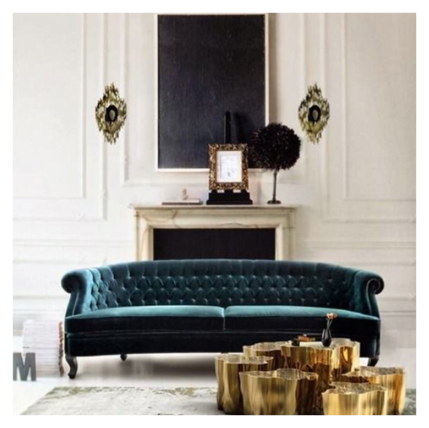 Mixing and matching metals is a sure-fire way to bring a layered richness to any space. 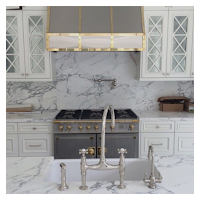 There are so many ways to mix metals into your home! A large gallery wall with mixed metal frames, Mixing metals with you’re living room furnishings, You can even mix metals in your kitchen! Perhaps your new Sunset Bronze appliances from Whirlpool with muted brass cabinetry hardware and a sleek stainless steel pendant over the island. Amp up the sophistication in your home by sticking with muted neutral shades and adding in pops of moodier jewel tones. 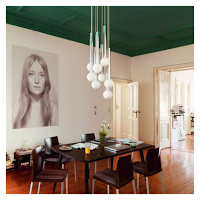 A great way to do this is to paint your walls in the muted neutral and painting the ceiling with the moodier jewel tone. This is an unexpected dose of interest and glamour that will keep your space feeling exciting but not overwhelming. Tie in the ceiling colour with similar toned accent pillows and accessories. 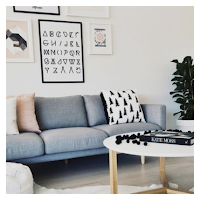 It was a big year for Scandinavian-inspired design, and according to the Magazines and Popular sites such as Pinterest and Houzz the trend shows no sign of slowing in 2016. You can mimic the look by adding simple and attainable touches around your home — like exposed shelving to showcase your collections, and white furniture accents anchored on bleached out wood flooring. The trick here is to keep it super-simple and pared-down and if you want to introduce colour it needs to be done in airy pops of colour. 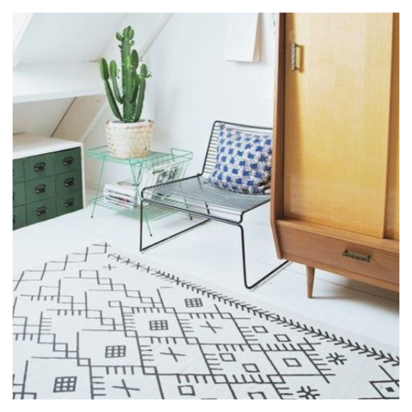 Adding colour and texture to a room can be done by introducing a good quality area rug. It will add a sense of luxury and some softness underfoot. 2016 is the year to be brave and bold! Pick a rug with a tribal pattern or a rug that has a mixed colour palette. Even the traditional boring sisal rugs are now being introduced with exciting pops of colour! A good quality rug is well with the investment and will only get better looking with age.